For sale is a 11KW Du Pont Riston PC Printer 130 . Cavlon Item # 2631. Raw weight is 1600 lbs. Raw dimensions are 78*74*43. For sale is a 16cf N2 purged 12KW Despatch Advanced Microtechnology Optimum 16000 Burn-In Testing Oven +1500 amps of Power Ten at 0 to 10 & 20 volt Supply. Cavlon Item # 873. Raw dimensions are 65*71*92. 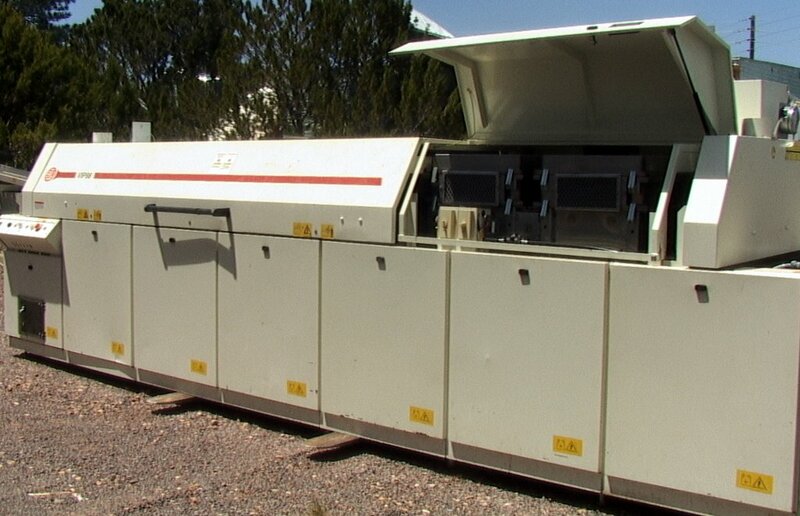 25KW Convectron RD3 Chain Oven LCD electronic control interface 80 amp 208 3 phase power 9 of 1998 mfg date CONDITION: Looks good functional--very little use but some sheetmetal damage from handling and transport. Cavlon Item # 2625. 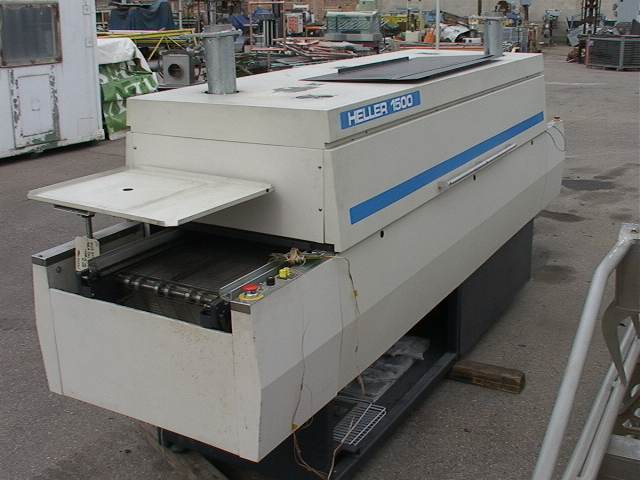 For sale is a 43KVA Heller 1500S PCB Reflow Solder Oven. Cavlon Item # 3591. Raw weight is 2500 lbs. Raw dimensions are 138*38*64. Due to the weight of this item, some special consideration for shipping is required. If seriously interested in this item, please contact Cavlon for a shipping quote. 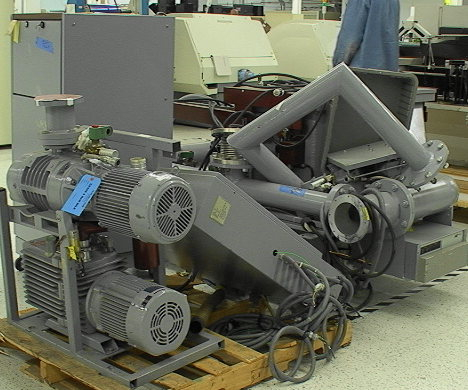 For sale is a APS Advanced Plasma Systems 3200 Desmear/Etchback System Vacuum Pumps, Chamber, Controller for Printed Circuit Board Resin Removal. Cavlon Item # 2627 Raw weight is 875 lbs for the chamber and pipes, 270 lbs for the control console. Raw dimensions are 38*32*38" for the chamber and pipes, and 53*53*24" for the control console. Up for sale is a CyberOptics CyberSentry 2 Circuit Board Solder Inspection Station In-Line and Off-Line Measurement XYZ Linear Coordinates Robot Unit. Cavlon Item # 175. Raw dimensions are 43*39*54. For sale is a Dynachem Model 310 Dry Film Laminator with Pre-Laminating Cleaner Stand . Cavlon Item # 2628. Raw weight is 500 lbs. For sale is a Earth-tronics Solder Recovery System SRS2000 . Cavlon Item # 2622. Raw weight is 400 lbs. For sale is a Electrovert Econopak Plus Wave Solder System Model # EPK PLUS/400F With Chemetronics Fire Suppression System Model # MICRO1-EV. Cavlon Item # 2783. E stimated weight at ~5000 lbs. Raw dimensions are 189 by 69 by 84 inches.